When is a rose not a rose? The answer is when you are looking a the pure white Christmas Rose, this ‘rose’ is a hellebore. Specifically, it is a Helleborus niger. The cultivar is Joseph Lemper. This photo was taken on January 13th in Seattle. Notice the happy bee! In early January, I was stunned by the change in the hellebore in the pot on my porch. The chartreuse foliage stood out against Seattle’s gray wet backdrop while the greenish white clusters of drooping blossoms looked like waxy pale fruit. I was amazed to see flowers forming so early in the year. Although I knew these plants were early bloomers, this was the first time I encountered one blooming in my garden. Members of the buttercup family, hellebores are hardy plants that can be evergreen or deciduous. Their closest cousins are anemone and clematis. My plant, Helleborus foetidus, is one of about twenty species in this genus. As I inspected these blossoms looking so serene at near-freezing temperatures, I wondered what keeps the plant from freezing. Later, I discovered hellebores react to frost by reducing the water content in their cells. It is no surprise that these hardy herbaceous plants have been going strong since the Jurassic period, evolving over millenniums, adapting to climate change and becoming more dazzling over the ages. The elegant beauty of its flower had won my heart, and now the tenacious character of the hellebore had earned my respect. One of the northwest’s passionate hellebore devotees is Elfi Rahr, whose Bellevue woodland garden is where she indulged her passion. 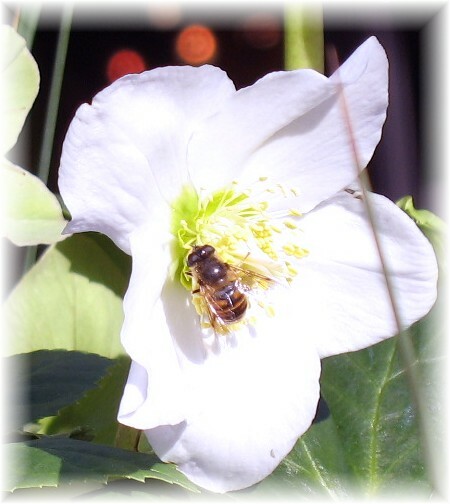 A pioneer in hellebore breeding, she began hybridizing more than 25 years ago, hand-pollinating flowers to encourage specific colors, flower size, spotted or speckle patterns, and flower size and shapes. 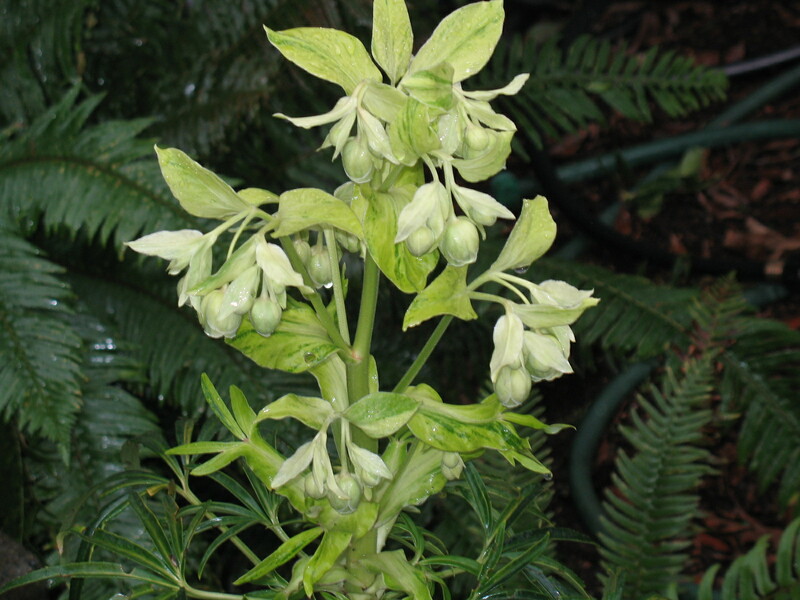 On March 2nd, the Northwest Perennial Alliance will host the Hellebore Open House and Plant Sale at the Bellevue Botanical Garden. Rahr’s hellebores, as well as plants from local nurseries, will be showcased at this event.